Hey Lisa! This salad looks delicious. I love quinoa. I'm marking this one! Healthy and tasty! A delicious salad! So healthy and looks absolutely delicious! Black beans rock! I l ove quinoa and all its versatility but confess to being in a rut with it using a favorite recipe. This may be just the sort of jump start I need. lovely salad. I need to get me a supply of quinoa stat!!! I feel like I'm the only one who hasn't tried it yet. I have yet to try quinoa. It always looks too healthy to be tasty ;), but i'm sure with your fabulous cooking skills, this tastes great. The color of this salad is just gorgeous! That's such a beautiful, healthy dish. Love it. this sounds marvelous! 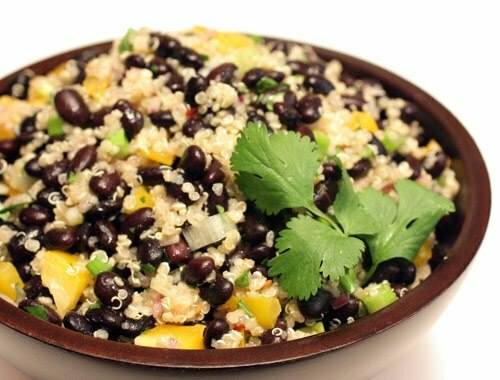 black bean dishes are such a draw for me, and the quinoa makes this even more nutritious and full of texture. beautiful work, lisa! I've made a salad like this before and really loved it! Black beans are always yummy. Ken's menu sounds fantastic! I can see why you want to make the whole thing. This is beautiful! The black beans and yellow peppers give it such a nice colour. I love these kinds of salads. Hearty and healthy! Looks delicious. Beautiful salad! A nice bowl of this would be a complete meal for me. Now, I just need to get in the habit of preparing my beans from dry - I'm still hooked on the convenience of canned. Do you use a pressure cooker or just a standard pot? Tracy: I just simmer the beans in a standard stock pot. I've always wondered how great a pressure cooker would be though. That is a fantastic combination. I'm always looking for good salads that feed a lot of people for the quarterly yoga retreats. I made a quinoa salad last summer and people went crazy over it. I wouldn't mind this in my fridge at all! It looks wonderful with the chipotle spicing it up. A terrific healthy salad, I like the colorful addition of yellow peppers! Ah, this looks lovely! I wonder if I can cook this in a slow-cooker...maybe not because of the quinoa? This looks beautiful,not to mention how healthy this dish is. A very tasty, healthy & colourful super salad!! Such a good nutritious and balanced dish. 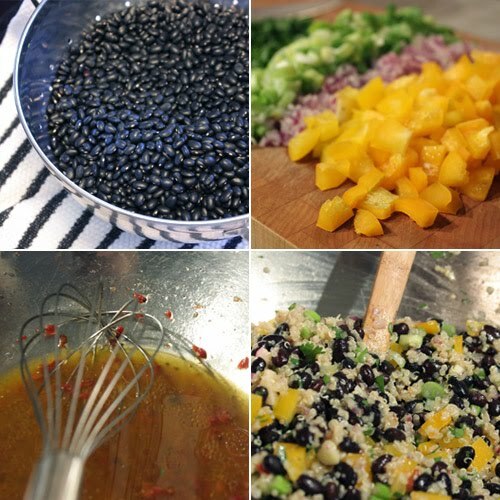 Black beans ranks high in the Whole Foods ANDI index. Looks amazing! There's a quinoa salad at one of my standard lunch places. It's a favorite. I really want to try this one (please Bill!). What an easy and fresh salad - it looks lovely! This is the exact kind of salad that I have been looking for a recipe for! I love quinoa, and have not made it in a while...maybe that will be my rainmageddon meal tonight! I make a similar salad all the time, with lots of diced avocado on top. It's a great quick meal during the week. I love this salad and haven't made it in a long time. Lovely! I'm so going out tomorrow to buy some Quinoa. Sounds like a perfect lunch menu for me which i could eat everyday! 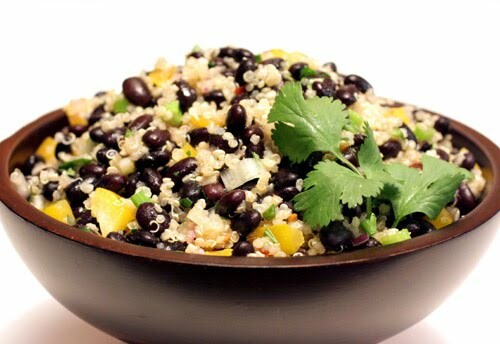 Love quinoa and I do make a lot of it with beans. love the colors here.